Bordeaux Airport (BOD) is at Merignac about 10 km west of the city. The airport website has a list of cities with direct connections. It is a small airport, easy to negiotiate. Security is tight but well organised and very efficient. Airport-city transit is a user friendly process.There is car hire available at the airport. 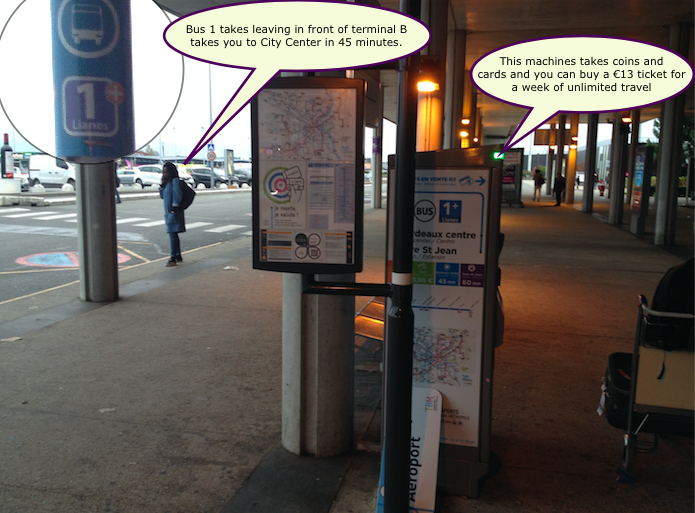 All public transit option are literally just one step outside the airport building; there are two choices – ‘cheap and cheerful’ or ‘high maintenance’. 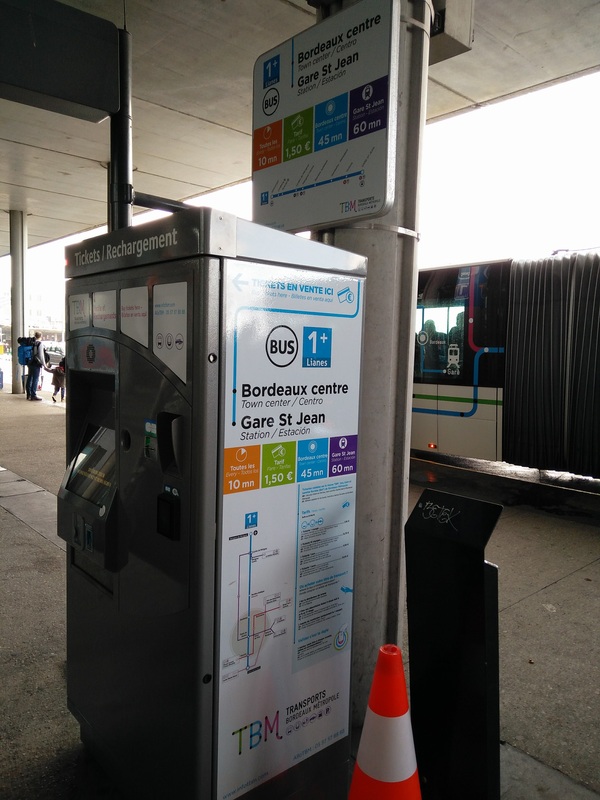 The ‘cheap and cheerful’ bus transfer option is the Lianes 1 bus which departs very frequently from just in front of the airport, beside the ticket vending machine; it takes about 45 minutes to get to the City Centre; there are many stops on the way. As this is public service transit, you may have to stand for some or all of the journey. A single ticket to the city centre will cost €1.50; however, a 7 day unlimited pass is very good value at €13 euro as it covers all routes in the city. For the more weary or ‘high maintenance’ traveller, a luxury coach called a Navette – think wifi, aircon, guaranteed seat – leaves from right outside the airport also, and travels straight in to Gare St Jean. Cost €8. The main train station is Bordeaux Saint-Jean. Just before conference a new high speed line will decrease travel time from 600 km away Paris to just over two hours. Information on train connections can be found at the site of France’s national rail operator SNCF.